Joe has been diving for over 20 years, and has over 10 000 dives as a commercial, public safety, military, recreational and technical diver. 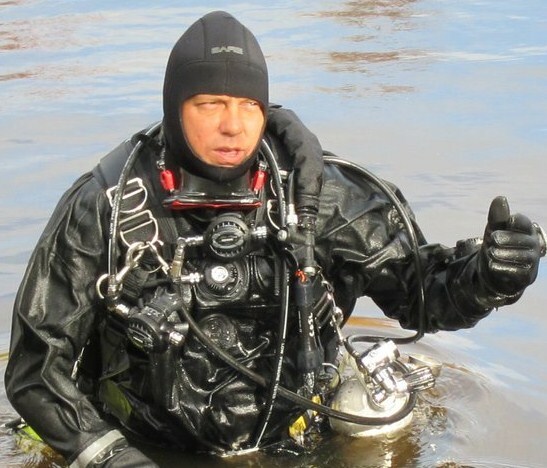 Joe has been an instructor in New Brunswick since 2007, and enjoys teaching all levels of divers from Basic Open Water through advanced skills to Technical Diving, and specialty skills such as Sidemount Diving, Public Safety Diving, and Commercial Prep programs. He is the only TDI / SDI Instructor Trainer and DAN Instructor Trainer in the Maritimes! Joe has also written two books on diving. 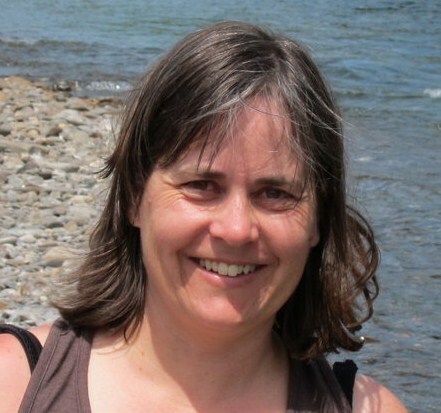 Connie has been diving in the Bay of Fundy since her Open Water checkout dives 15 years ago. She enjoys marine life and underwater photography, has contributed to several magazine publications with her marine life photography, and maintains a photo website to share what she sees. 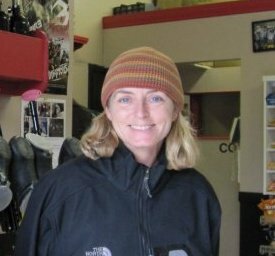 Connie enjoys teaching Basic Open Water courses through advanced and specialty diver courses. Connie is often working the retail store and looks after the business 'paperwork'. Our professional team located in Northern NB, primarily support training offered at the Bathurst Aquatic Center and Atlas Park, Pointe-Verte. Training is available in both French and English. 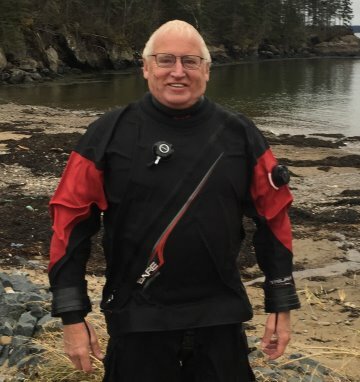 David has enjoyed diving in Northern New Brunswick but also has experienced diving in other climates such as Cozumel, Cancun, Aruba, Iceland, Egypt, Barbados, Punta Cana and more. He also enjoys underwater photography and marine life. David with his professional demeanor will offer his help en français or English. Jason received his Open Water certification in 2011 and frequently dives at Atlas Park and the Bay of Chaleur. He received his Advanced Diver and Rescue Diver certifications in 2016 and earned his PADI Divemaster certification with COJO Diving in 2017. Jason completed his PADI Instructor program in September 2018. Jason is a regular at events and training activities in Northern New Brunswick, and working with COJO at Atlas Park in Pointe-Verte. Hubert has over 400 logged dives, and did his first diving course with ACUC in 1984 with Côte Nord Diving Center. 20 years later he worked with his son René on a Rogers TV mini-series called "Rene's Underwater Adventures", which covered local dive sites and Deer Island. 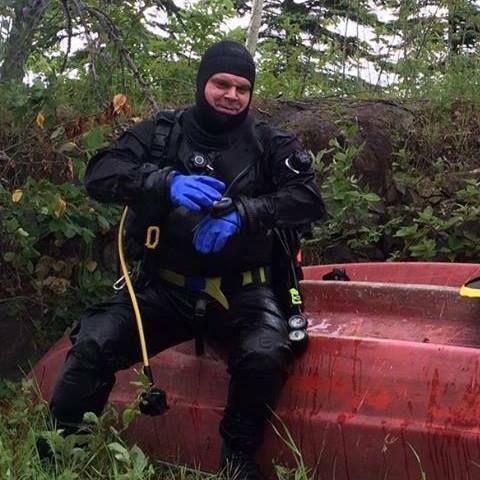 Hubert has been working with COJO advancing his Technical Diver training, while remaining active developing sport diving in Northern New Brunswick. Hubert is a regular at events and training activities focused on Northern New Brunswick, and working with COJO at Atlas Park in Pointe-Verte. John joined the COJO team in 2014 as a PADI Divemaster, and is interested in local as well as tropical, technical and cave diving. John has a strong background in science and medicine with particular interests in issues of diver safety and dive physiology. He has participated in DAN physician seminars and is a frequent contributor to the COJO dive medicine column as “Doc Octo”. John completed his PADI Instructor program in September 2018. David joined the COJO team in 2018 as a PADI Divemaster, and is interested in local as well as tropical diving. David has a strong background in engineering and law and brings a unique perspective to his training programs with students. David completed his PADI Instructor program in September 2018. Mike (Papa Mike to his friends) joined COJO as a Divemaster in 2014. He has mostly dove in Eastern Canada, but also loves diving the Caribbean. Having dove both the Atlantic and Caribbean side of Cuba and the beautiful Island of Cozumel, warm water shipwrecks rank very high on his to do list. Mike possesses a deep and abiding passion for diving and enjoys the interaction with potential new divers. He is also known for having the biggest “save a dive kit” in the Maritimes. Mike is a regular presence at the Lincoln retail store, and is often at pool and open water sites assisting with classes and events. Claire joined COJO as a PADI Divemaster in 2013. Claire has been working with us for a few years as a Rescue Diver, and enjoys helping out with the pool and open water training dives. Claire took up underwater photography and has quite a collection of photos from the Bay of Fundy! She is happy to help out, and answer any questions you may have in English or en français!